The Medley file cart offers an additional storage option for our popular Medley desk system while sharing the same retro vibe. The soft curves of the steel body and the Dune glass top all coordinate perfectly with the Medley look. 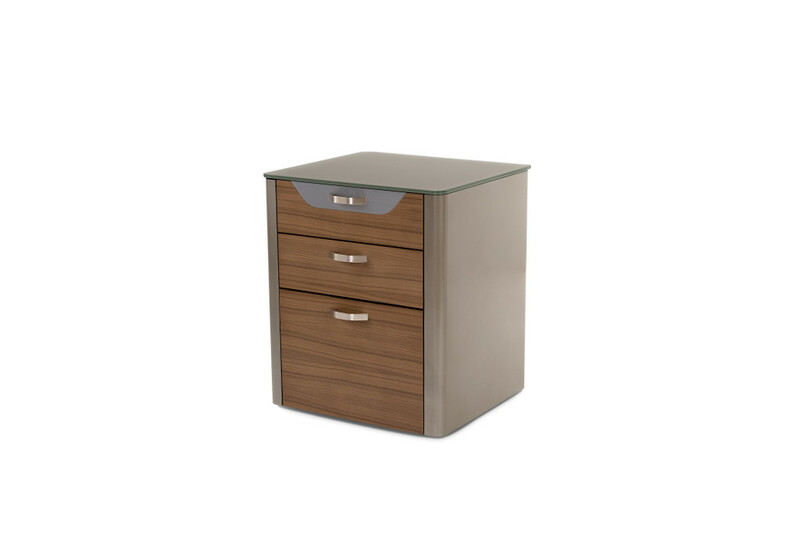 The generous file drawer and both utility drawers are fronted in rich walnut veneer with brushed metal pulls. Concealed casters allow positioning underneath or alongside any Medley desk. 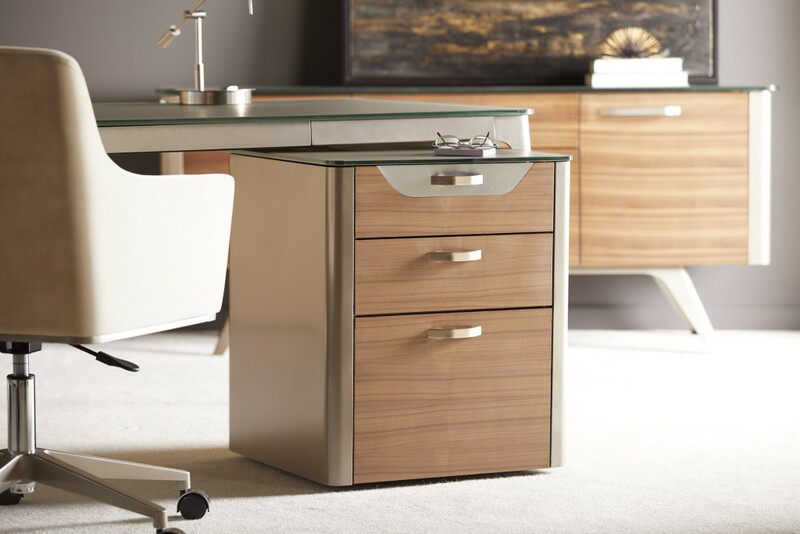 Available in all Elite powder-coat and wood finishes, with Dune glass top, the Medley file cart can bring a little extra something to your workspace.